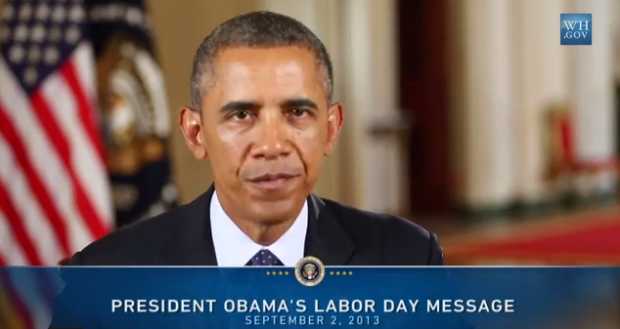 “This is a day that belongs to you: the working men and women of America. On Labor Day, we celebrate your proud history. We pay tribute to the values you embody…hard work, responsibility, sacrifice, looking out for one another. And as a nation, we recommit ourselves to your cause, to securing for you a better bargain so that everyone in America has a chance to get ahead….